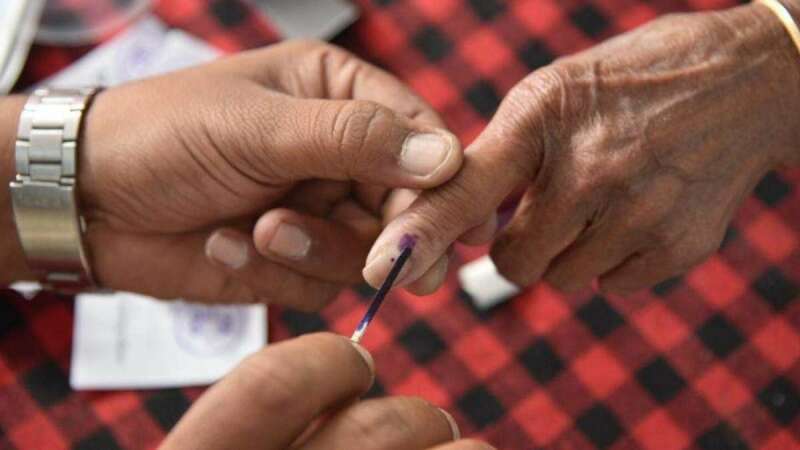 Hyderabad : Voter indifference in Hyderabad marked was visible in the Telangana Assembly elections as the state capital recorded the lowest turnout of 50 percent. The efforts of the Election Commission and various NGOs to improve polling in the city failed to yield the desired results in the tech hub. According to the Election Commission, 67 percent polling was registered in all 119 constituencies in the state till 5 p.m. and as those standing in queues were allowed to cast votes the final figure is expected to be around 70 percent. While there was enthusiasm among voters in rural areas, many polling booths in the state capital wore a deserted look. Among districts, Adilabad recorded the highest polling of 75.6 percent while Hyderabad finished last with 50 percent. Among constituencies, Yakutpura in the old city of Hyderabad recorded lowest turnout at 33 percent turnout. The city has a total of 15 constituencies with over 38 lakh voters. It is believed that people either preferred to spend the day at home or left the city with their family to holiday. Friday was declared a holiday and since this is followed by two more holidays (Second Saturday and Sunday), people apparently preferred a holiday at their natives place or tourist destinations in neighbouring states. The city saw a turnout of 53 percent in 2014. Telangana Chief Electoral Officer (CEO) Rajath Kumar wanted the IT companies to declare a holiday so that their employees could vote. While the IT companies turned down his proposal, they agreed to allow their employees to cast their vote.